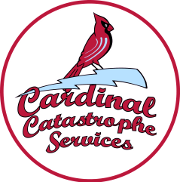 Project Photo Gallery - Viking Catastrophe Services, Inc. Most of these photos are pictures of projects we have finished. Some are before and after. Some have a brief description. This page will be a continual work in progress. For those just joining us, we love to showcase our quality. 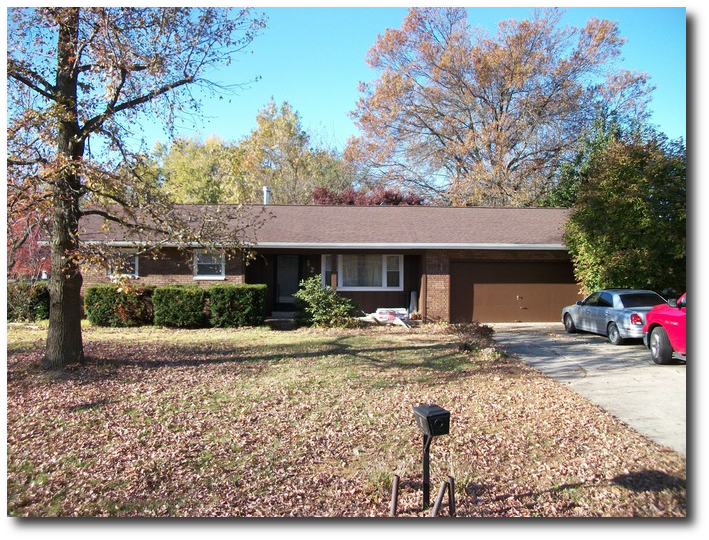 This is a series of before and after pictures of a 172 square home we completed. It is a very tall and steep roof as you will see. This home also has an Olympic sized swimming pool which we refurbished/upgraded all the ventilation on the roof. This project took 4 days to complete as Viking Catastrophe Services dispatched 20 certified installers to perform this roofing project. The shingles used were a zero cost upgrade, Certain-Teed Landmark Series 30 year, Weathered-Wood. In addition we used 15 bundles of ice and water shield as we follow N.R.C.A. 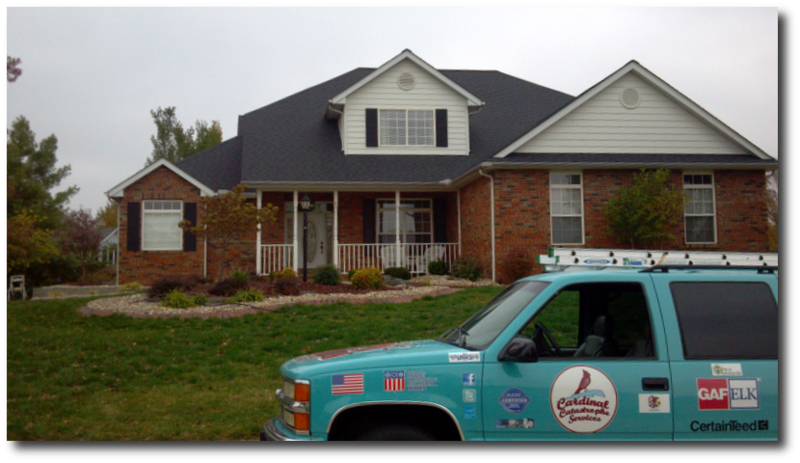 guidelines with all of our roofing projects. This was a wind/hail claim and the insurance provider was Madison Mutual. The out of pocket expense for our client: Their deductible. Below is an after photo. 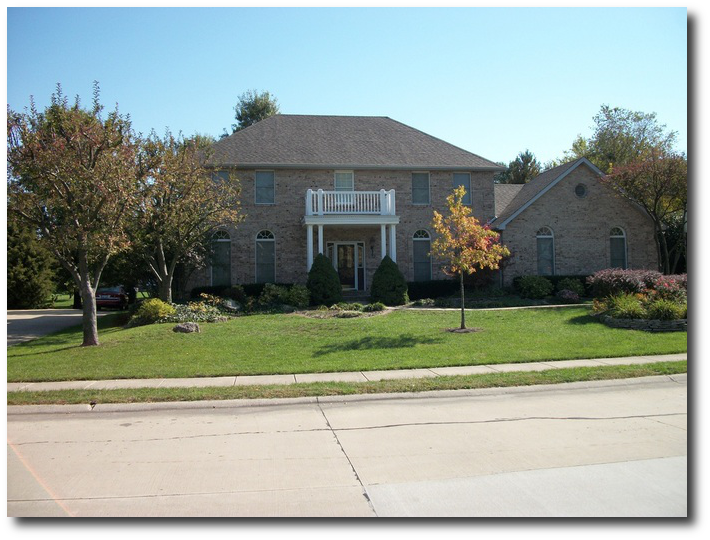 This home had 3 large dormers which we removed per our clients request. This project (which is still in progress) will have all new siding, soffit, fascia, flat roof, front door housing, gutters, and of course the roof is finished. The shingle is Certain-Teed Landmark 30 Weathered-Wood. State Farm is the insurance company and our clients out of pocket will be their deductible. 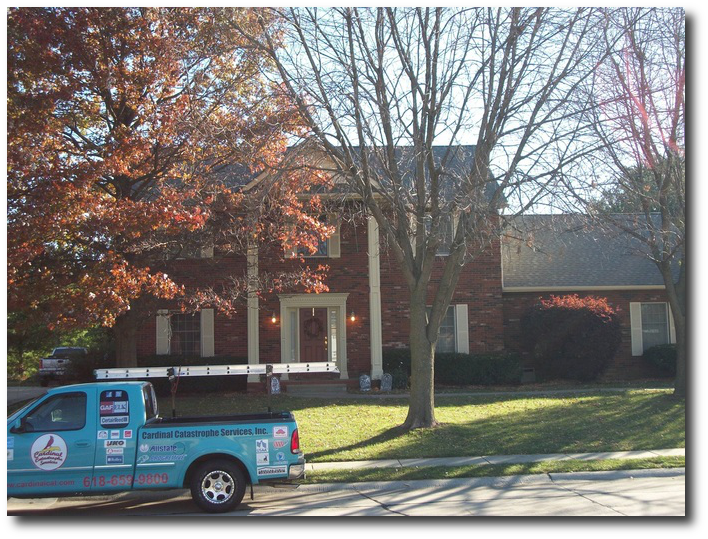 Below, this home has a new Atlas Pinnacle 35 year shingle (weathered-wood), gutters, soffit, fascia, exterior lights, and soon will have a new deck in Jan.
Below is a roofing project we finished in 2009. This is an Atlas Pinnacle Hickory 35 year shingle. It looks great with our clients brick and brown accents. This was a hail Claim via Allstate. Homeowners out of pocket cost: their deductible. Side note: when you are working with a generalist, they only resolve to have your roof replaced when there is an insurance claim. 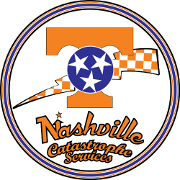 When you are working with an insurance restoration specialist, like us where we go to bat for you, you get these kind of results. This client had plastic gutter screens. 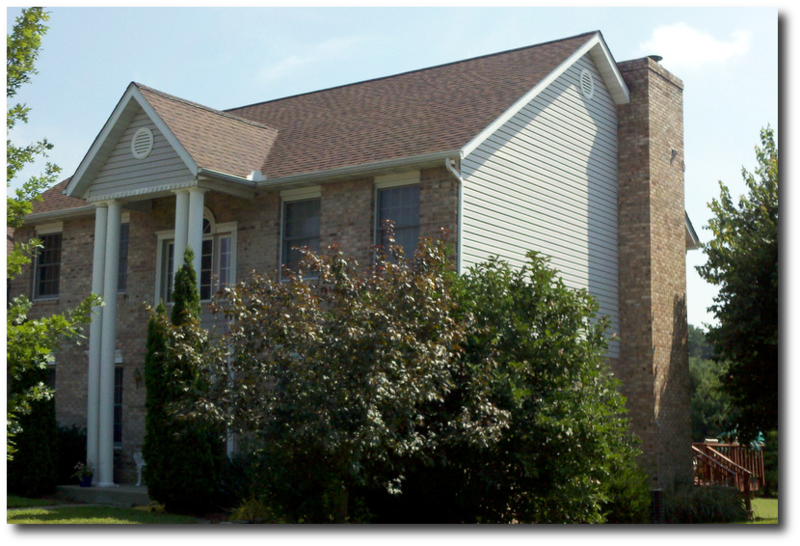 Per N.R.C.A., drip edge is required to be removed and replaced on ALL roofing projects. 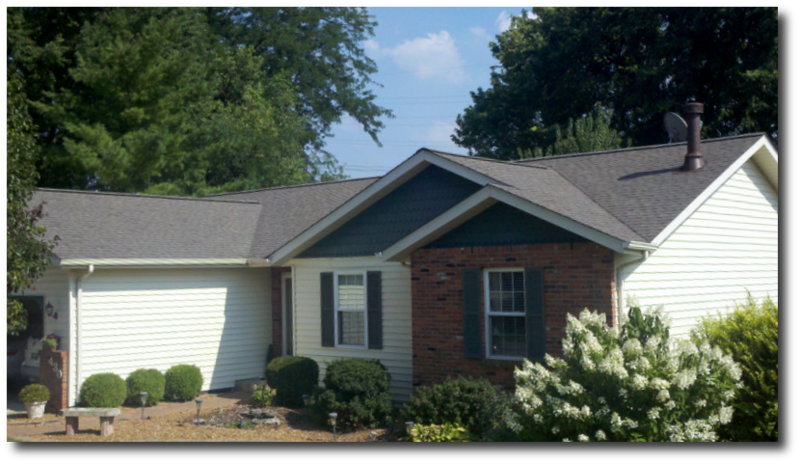 In order to remove and replace the drip edge on this home, the gutter screens had to be removed. Some of the screens were damaged while removing them. As his contractor, we informed Allstate of this and they released a "supplemental invoice" for new gutter screens. 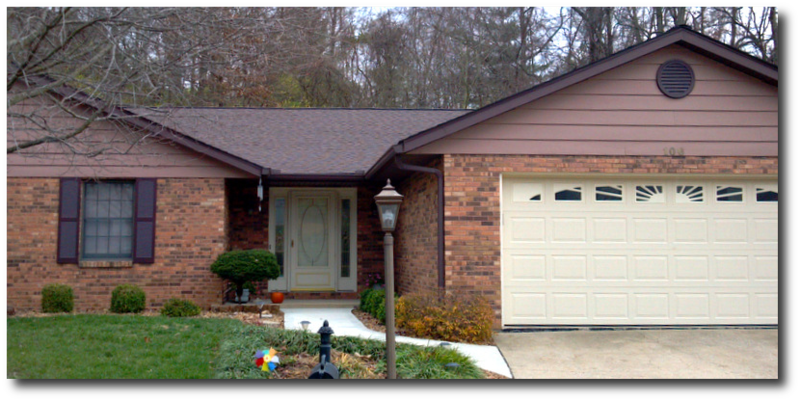 So our client received new gutter protection (a nice upgrade as we put on metal gutter protection) at no cost to him.